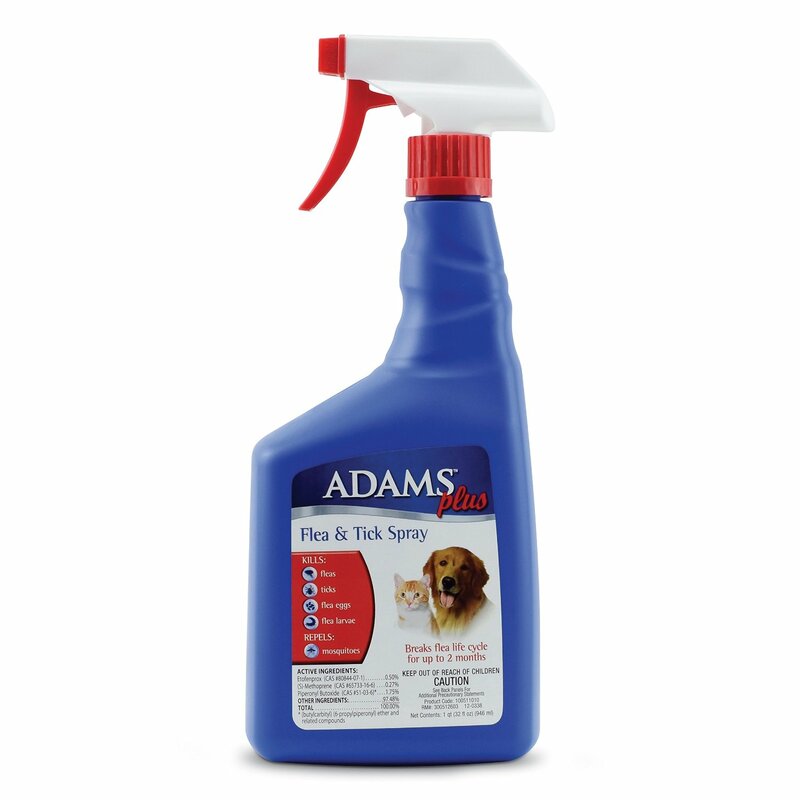 The last line of defense in getting rid of the flea infestation in your home, once you’ve taken measures to kill the fleas on your dog, and prevent them from coming back, is to begin attacking your furniture. 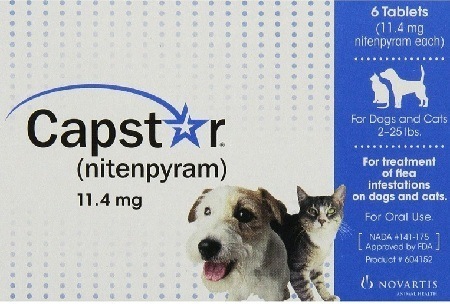 Natural Chemistry upholstery spray is the perfect solution for getting rid of the eggs, larva, and adult fleas that are living inside of your furniture and carpets. Fleas continue laying eggs that wait for the perfect temperature or movements around them to start hatching. Even if you’ve done what it takes to get rid of the fleas on your animal, there are still eggs laying dormant in your furniture and carpet that are waiting for the temperature to hit the perfect level, or someone (or something) to show enough movement that the larva inside will want to hatch out. That means, if you don’t take care of the eggs and larvae that aren’t actually on your pet, you could have an infestation waiting to make their appearance again -- forcing you to start back from square one. Tested for Safety and Health: Natural Chemistry has performed significant lab testing to ensure that the ingredients inside of their upholstery spray are safe for both pets, and humans. If you have young children in your home, you do not have to worry about Natural Chemistry’s upholstery spray affecting them in negative ways. All Natural Formula: The main ingredient inside of the spray is a cinnamon based oil and cottonseed oil. The unique combination of these two natural oils packs a one-two punch that kills both young, and adult fleas before they get a chance to repopulate your home. Takes Care of the Next Infestation: Natural Chemistry’s combination of natural oils also takes care of both flea eggs, and larva. As they hatch, they will be neutralized, unable to create a new infestation that you have to deal with down the road. Smells Great: Cottonseed oil and cinnamon oil both smell great. When you spray it around your house, you won’t be left with chemical smells like you would be with other comparable upholstery sprays. Doesn’t Remove Color from Upholstery: A lot of sprays have chemicals inside of them that will actually damage the dyes and coloring inside of your upholstery. With Natural Chemistry, you do not have to worry about the colors fading. May Require Multiple Treatments: With using all natural ingredients, you may be required to spray your upholstery more than once. Since they’re not considered as harsh as some other ingredients, they may not completely get rid of the infestation the first time you use the spray. Requires You to Cover All Upholstery: In order to get the most use out of the spray, you will need to effectively cover all of the upholstery in your home. Everything from your furniture, carpets and area rugs, to the curtains on your walls. In order to prevent the infestation from coming back, you need to attack where the fleas live in dormancy. 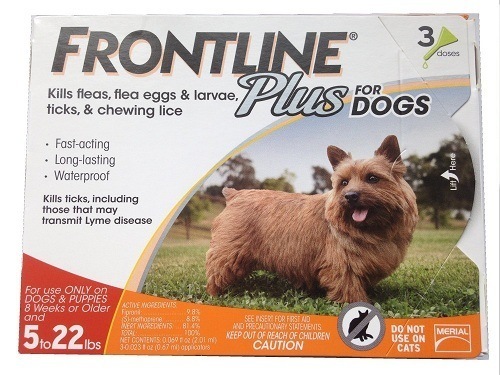 Once you’ve gotten rid of the infestation on your animal, the next step is getting rid of it in the places where the adult fleas have laid eggs, that have hatched into larva waiting to start the next part of their life cycle. Natural Chemistry’s upholster spray is the perfect solution. 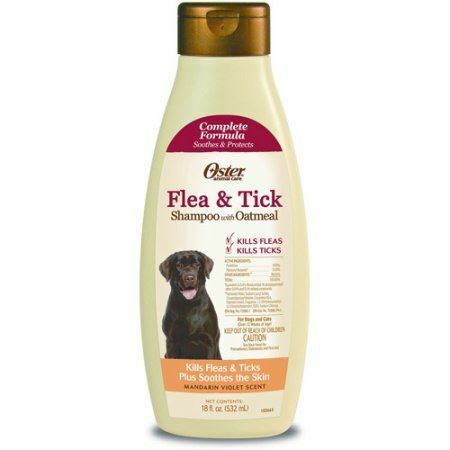 The all natural ingredients smell great, and do not damage your furniture or upholstery, while also effectively ending the flea’s life cycle, and keeping you from constantly getting bit while you are sitting on the couch. 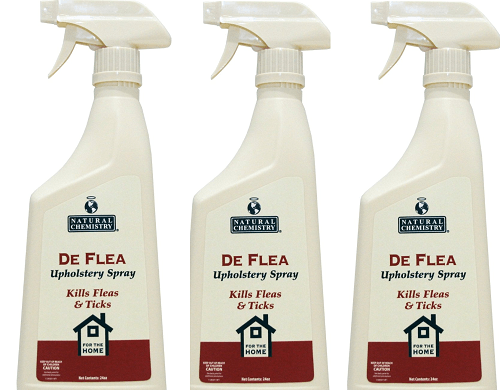 Getting rid of the fleas in your furniture and carpet is easy with Natural Chemistry’s all natural upholstery spray. When you’ve contained the infestation, and need to take the final step to prevent it from coming back, you can order this all natural spray by clicking on the button below.